The Deity is a Ferrum Forge Model Run collaboration with Eric Kramer that delivers the high level of refinement and performance that FFKW is renowned for in their knives. All the usual refinements offered in the Ferrum Forge Model Run lineup are present on the Deity, like a steel lock insert/stop, Hoback Rolling Detent (HRD) and ceramic bearings. 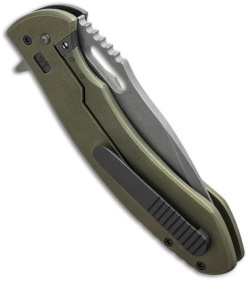 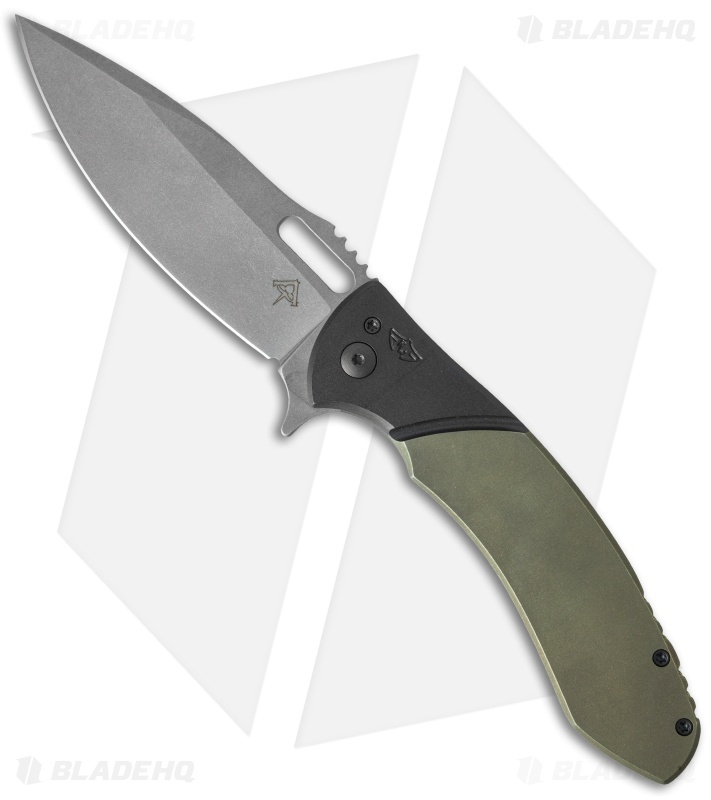 The handle is 0.164" thick titanium slab construction with a two-tone finish -- green handle with dark gray bolster and pocket clip. Action is smooth and predictable, the detent makes way to rapid deployment. 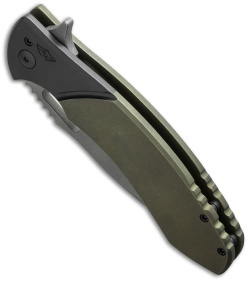 The blade is Bohler N690 steel with a dark stonewash finish.